There is absolutely no doubt that Airbnb’s popularity has skyrocketed in the past few years, and as a host, it opens up countless opportunities for you. It isn’t even just Airbnb booming – the whole home-sharing industry is rapidly growing in popularity for all the right reasons. 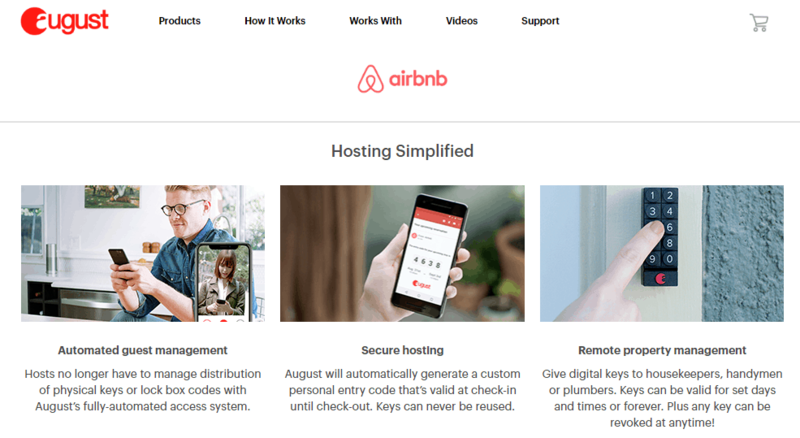 How do you make your life easier as an Airbnb host amidst fierce competition in a flourishing industry and a large pool of diverse customers? Well, there seems to be a solution for every home-sharing related problem that comes to mind. This time, the ultimate solution lies in the magic of customer service tools. We’ll be reviewing the top three customer service tools out there, designed to fully optimize your experience as a host. Why use customer service tools? Thousands of organizations are actively providing tools to make their lives easier and to create a sense of loyalty between the consumer and the brand. As an Airbnb host, you need to think of your home as your own little business. All businesses stay up to date with the latest adaptations, changes, and technologies affecting the industry – and so should you! By using customer service tools, you’ll play an active role in making the most out of your guests’ stay. You’ll be offering an unparalleled sense of convenience, security, and comfort for your guests. In addition, you’ll be up and running, saving time, getting better reviews, and, most importantly, earning more money (whether increasing prices for added values or receiving commission). Sounds like a pretty good deal, right? We all know that one of the major keys to becoming a successful host is thoroughly analyzing and understanding your market and competition. Identifying competition is crucial to determine how you’re going to market your listing, your pricing strategy, setting availability, your descriptions and much more. That’s why there isn’t a better source than AirDNA. 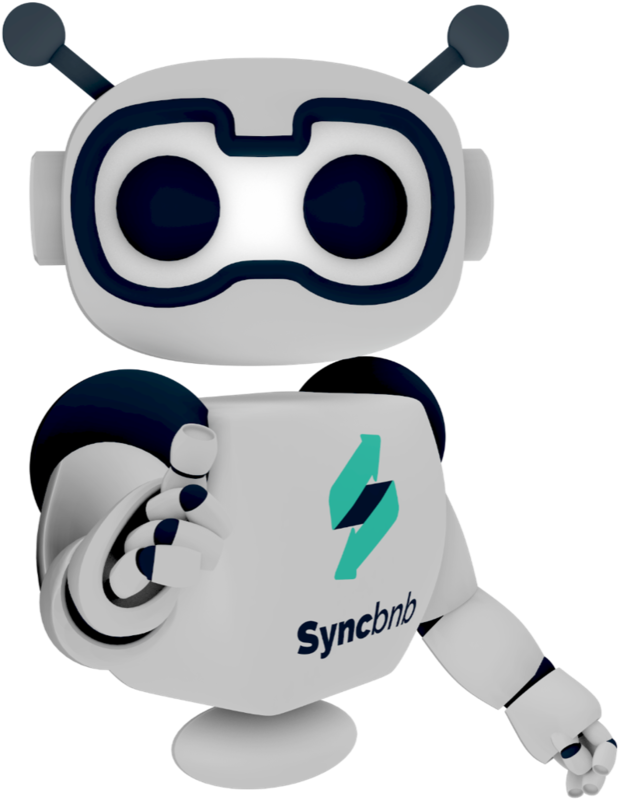 Instead of you having to do all the manual work by identifying active listings and analyzing them, you can tap into clear data collected by AI and make an intelligent backed-by-robust-analytics decision. AirDNA pulls insights from over 20,000 markets, 85 million reservations, and 4.2 million rentals and turns them into extensive data. You’ll be able to judge the market quickly and know exactly where you stand against competition thanks to their market grade that’s based on 4 factors: rental demand, revenue growth, seasonality and regulatory climate. You will get a Market Grade, Pricing Analytics, and Extra Insights. Rental types: Including listing sizes and how much they make per month. What amenities are offered in the market you’re planning to host in. How far in advance do guests book in your market? How to stay competitive and what ratings you need to maintain. Shows you Top Listings so you can compare yourself to the best. Whether competitors have a minimum stay and what their cancellation policies are like. 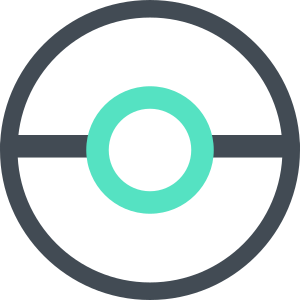 If you’re a new host, AirDNA will show you how good you need to be to make X amount of money and compete with other listings. If you’re an existing host, AirDNA will highlight where you stand in the market (whether you’re in the top 10%, for example). Experienced Airbnb hosts know for a fact there is a fun part (meeting guests, reading nice reviews, and socializing) and then a not-so-fun part (like cleaning, maintenance, security, and complaints). You know the drill. As a host, I am sure you know the hassle of setting up a schedule for regular cleaning and syncing it with existing bookings. What if you could never miss a clean again? TurnoverBnB connects you directly with local cleaners, automating the entire process for you. 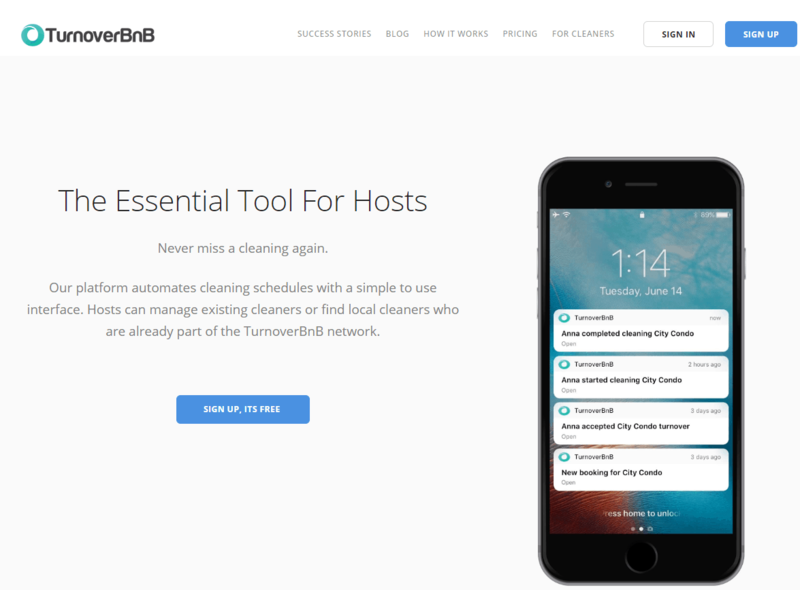 TurnoverBnB finds local cleaners on the TurnoverBnB network (or hosts your own choice), connecting your existing Airbnb calendar for ease of execution. It takes about ten minutes to set up, after which you may automatically schedule a cleaner based on your Airbnb calendar. What if we told you that you could monitor and control your door from anywhere? You don’t have to specifically go out of your way to meet guests or deal with the hassle of key delivery ever again. Does it sound like sci-fi to you? If you answered a resounding “yes” to that, let us introduce you to August. It does everything we just mentioned. 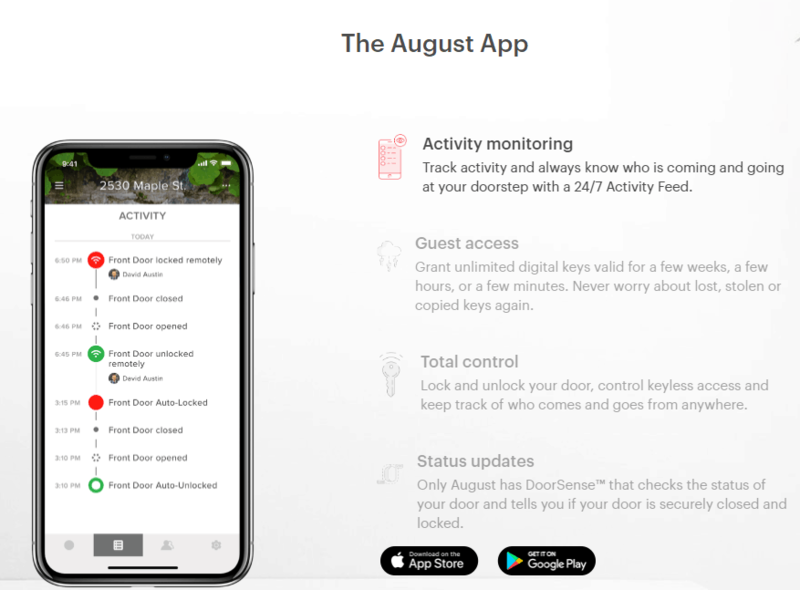 Install the August Smart Lock to your front door, download the app and you’re ready to go. The app gives you full control of your front door from anywhere in the world. Amazing, right? You’ll be able to track who’s entering and leaving your house, and never have to worry about physical key copies again. Lock or unlock your door from anywhere and have as many “digital keys” as you want. You will never again have to deal with the distribution of physical keys. Basically, no more canceled plans or irritated guests because of key transactions. What’s the best thing about August? The entire process is also automated thanks to the seamless integration of the app with Airbnb. When the guest is confirmed, they receive an email with detailed instructions based on the access method you choose. If they cancel their booking, the access dates are automatically changed. These three service tools, without a doubt, make life as an Airbnb host simpler and more efficient. Whether it’s the automatization of the processes, ease of use or the fact it will leave guests happy and more satisfied, one thing remains true: The tools reap valuable benefits for all parties involved and save you a lot of time. I’m glad the subject grabbed your attention. You won’t regret it.